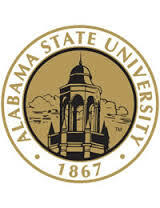 Alabama State University, located in Montgomery, Alabama, is a widely respected, world-class institution of higher learning which welcomes students of all diverse backgrounds including active military and veteran students looking to redeem their GI Bill education benefits. We offer nearly 50 undergraduate and graduate degree programs, from our historic teacher education program to our new, high-demand programs in health sciences, new Ph.D. in microbiology and minor in international business. At ASU, we know that what happens outside the classroom is an essential part of the college experience. Our students enjoy a vibrant campus community where they’ll build life-long friendships and find a wide variety of social, cultural and sporting events. We have more than 70 clubs and organizations, including fraternities and sororities, and 18 intercollegiate sports. Our 149-year history is a legacy of perseverance, progress and promise, Alabama State University was founded in 1867, in Marion, Ala., as a school for African-Americans. The school started as the Lincoln Normal School with $500 raised by nine freed slaves now known as the Marion Nine, making ASU one of the nation's oldest institutions of higher education founded for black Americans. We’re proud of our legacy, and we welcome all kinds of students to dream, to share their unique gifts and talents, and to take pride in knowing they are part of a rich tradition. Our community welcomes all diversities, and background including active military and veterans.